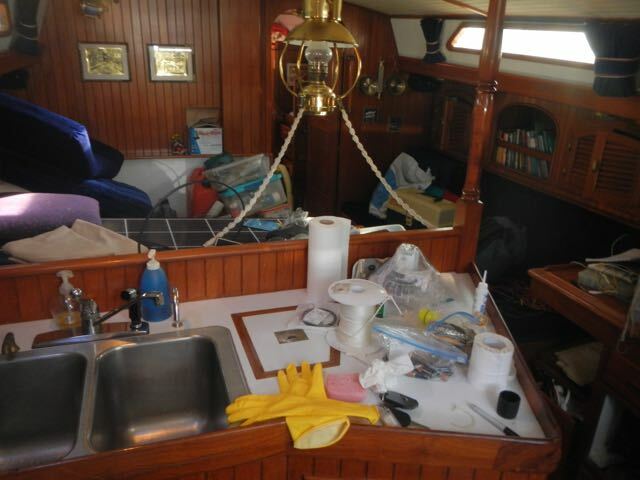 We accomplished a lot today, and the Carenage crews did, too. 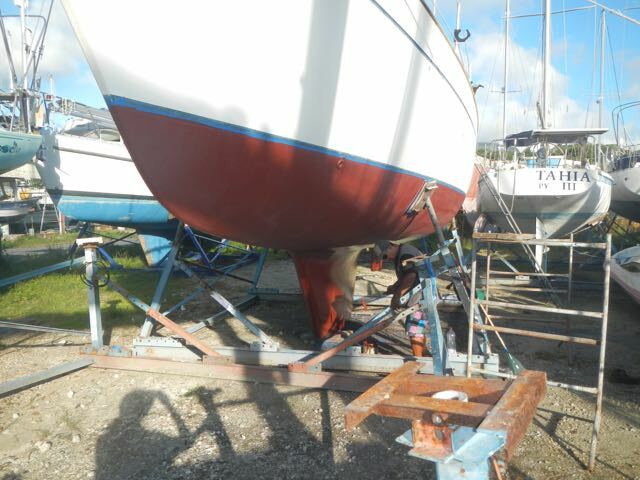 The bottom received two coats of anti-foulnig paint and the cap rail was preped for the varnish, weather permitting. 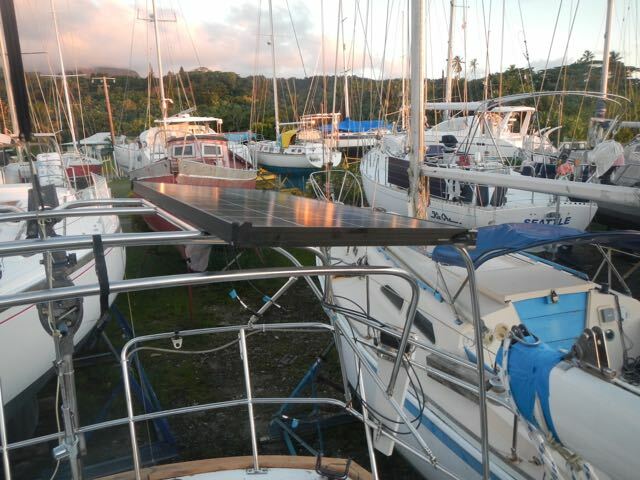 We got one solar panel erected and several small but important below-decks tasks completed. Take a look. 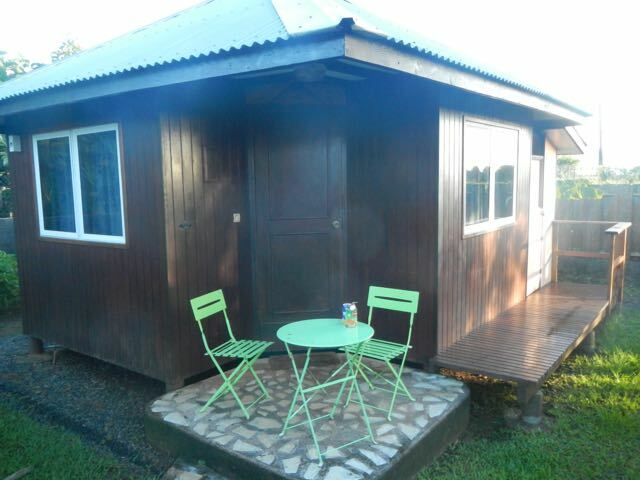 This is our cozy but primitive bungalow as we leave for the yard. 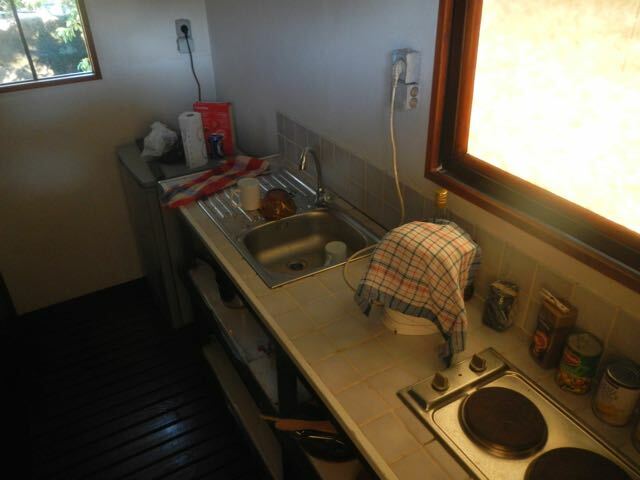 Our kitchen is small and primitive but serves its purpose. There's only cold water at the tap and a slow electric hot plate for cooking, but we make do. 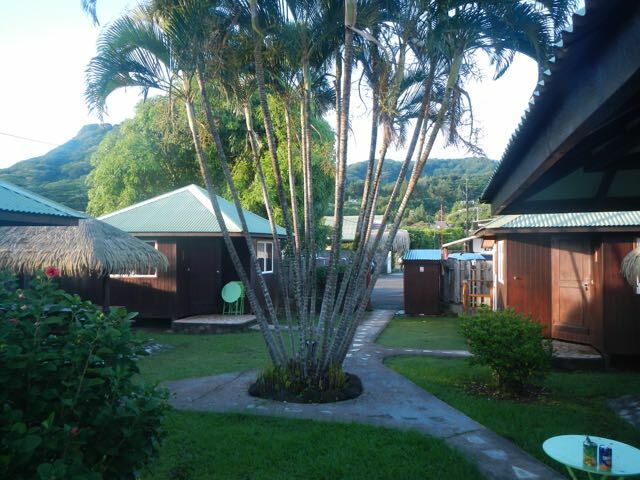 A glance toward the mountains from our bungalow in early morning. 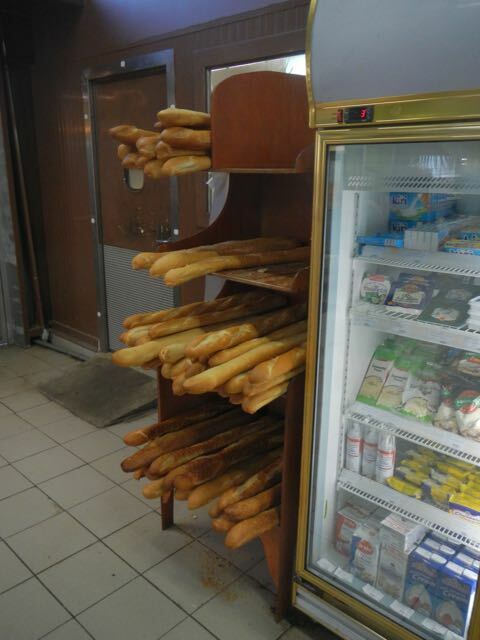 We stopped for baguettes at a little market and there they were! Since it's open air, a bird usually collects crumbs. Lovely Conni selects lunch meat in one of the few coolers. 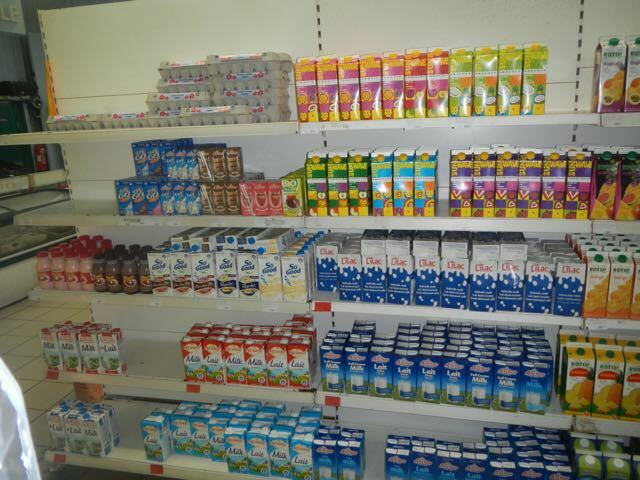 The eggs (upper left) and all of these milk products are all open air, no refrigeration. No one minds. 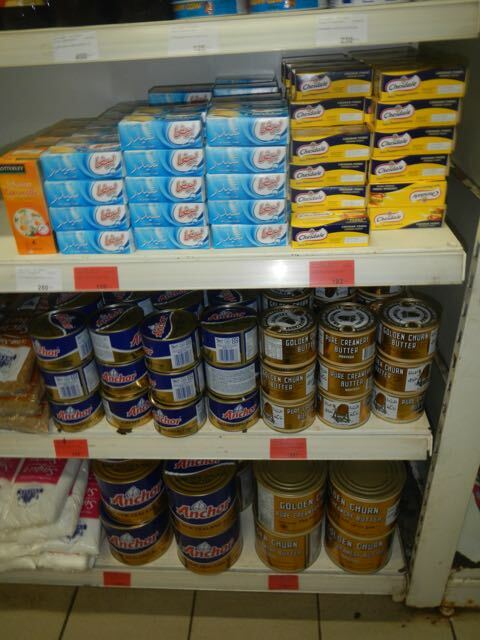 Canned butter: it surprised me to see this. Wings in project mode with stuff everywhere. Note the solar panel on the table. I placed it there, under the overhead hatch, last year to provide some charge for the batteries. Wings has a red hull again! They did a nice job, I think. The first panel to see the day, the port-side panel, makes it so much less congested down below. 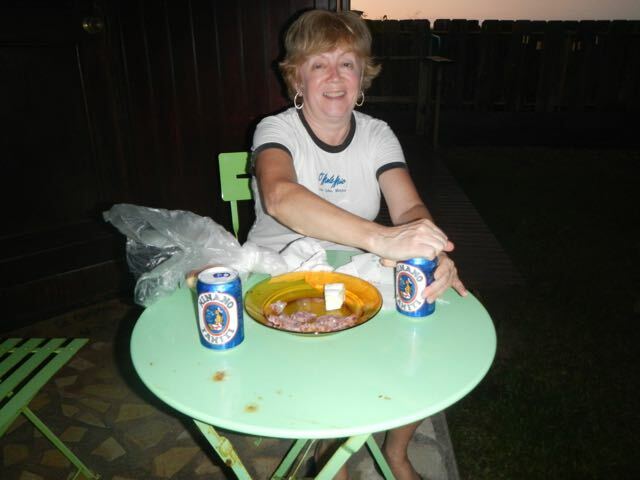 Conni enjoyes a Hinano beer as our sundowner. There's not much brie cheese remaining.